Stretch marks are those pesky little lines on our skin that many women are lumped with permanently after pregnancy. Why do we get them and can we do anything about it? Here are 10 things you might not know about stretch marks. 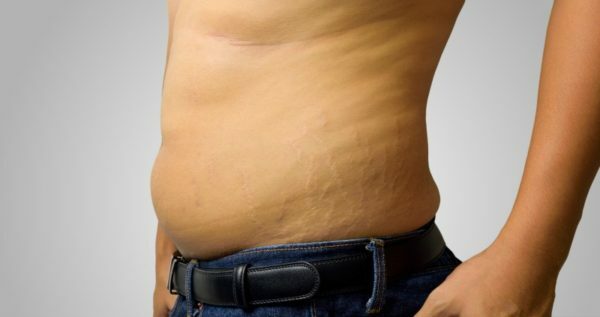 Known in the medical profession as striae gravidarum, stretch marks are a form of scar that often appears after the skin has grown rapidly – as happens in pregnancy. When stretched within a short space of time, the skin has trouble producing enough collagen and elastin and its tissues break up and form marks in the dermis (the middle skin layer). Like all other scars, stretch marks are a sign that your body is healing itself naturally by trying to repair and strengthen the damaged skin. Due to the intense skin stretching, the majority of pregnant women will get at least some stretch marks – and many mums are actually quite proud of this visual reminder of what their body has achieved. Another main culprit is puberty (due to sudden growth spurts) and bodybuilding and rapid weight gain or loss can also cause the condition. Some medical conditions and medications that affect the amount of collagen your body produces can also result in stretch marks. It’s a myth that only plus size or overweight people get stretch marks. Super slim and average sized women can still be affected in pregnancy or at other times, so don’t think you’re immune just because you’re in top shape! Stretch marks are natural and normal – even celebrities like Jessica Alba, Jennifer Lopez and Cindy Crawford admit to having them. And guys can get them too! Stretch marks on men usually occur because of growth spurts, weight gain or loss, or bodybuilding. If your mother got stretch marks when pregnant, then look out – because you probably will too. Your individual skin tone determines to some extent how your stretch marks will appear. On those with tanned or darker skin the lines will be lighter than the surrounding skin, while for fair people the marks will be red or pink. Over time the colour can change as well. Initially stretch marks might be purple or pinkish as the blood vessels break up as the skin is being pulled. They can then fade to a silvery-white as your cells lose their pigment production. Stretch marks can turn up pretty much anywhere on the body, although your face is very unlikely. Usually they appear where fat is stored and where the biggest size changes are occurring. Hot spot areas tend to be the tummy, breasts, bottom, thighs, under and upper arms – with your belly and breasts at most risk during pregnancy. 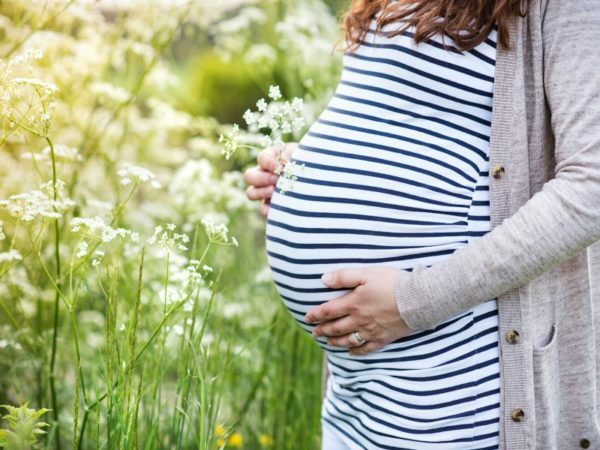 By now you should be aware that stretch marks are super hard to avoid, especially with pregnancy where your skin is forced to stretch greatly. You can try and reduce the risk by moisturising with cocoa butter or a bio oil daily, eating plenty of foods rich in vitamin C to boost your skin cells, and watching that you don’t end up overeating too much. 9. You can make them fade – yay! The good news is you can make your stretch marks appear less obvious by helping them fade. DermaScar – Silicone Gel for Scar Reduction is clinically proven to help heal your stretch mark scars and make them appear lighter, which it does thanks to the added Vitamin C, Vitamin E and Vitamin C & E (the only brand to include this combo). Inexpensive and Australian made, it’s a great option if you’re feeling embarrassed or worried about your marks. To reduce the appearance of stretch marks you could also try microdermabrasion or laser treatment, however both have mixed reviews. If you’ve got stretch marks and want to make them look better then make sure you get onto it early when the scar is forming (when the marks will look purple or pinkish). Your skin is trying to heal at this point – so this is the best time to use a topical solution such as DermaScar – Silicone Gel for Scar Reduction if you want maximum fade results.